Tecnalia, one of the first R&D companies in Spain, developed a microgrid laboratory at their headquarters. The lab facilities are flexible and modular, which is perfect for testing a microgrid, where the right combination of choices (choice of the on-site generation, choice of the storage …) is key to its success. The power sources at Tecnalia Microgrid Laboratory include non-renewable and renewable on-site generation, such as a diesel Generator (2x55 kW), a microturbine (50 kW), PV system (3.6 kW three phase), wind turbine (6 kW) and a fuel cell (1 kVA). Storages from flywheel to battery banks are available at Tecnalia Lab. Controllable load is also part of the broad range of options at the microgrid laboratory with resistive and reactive load banks. 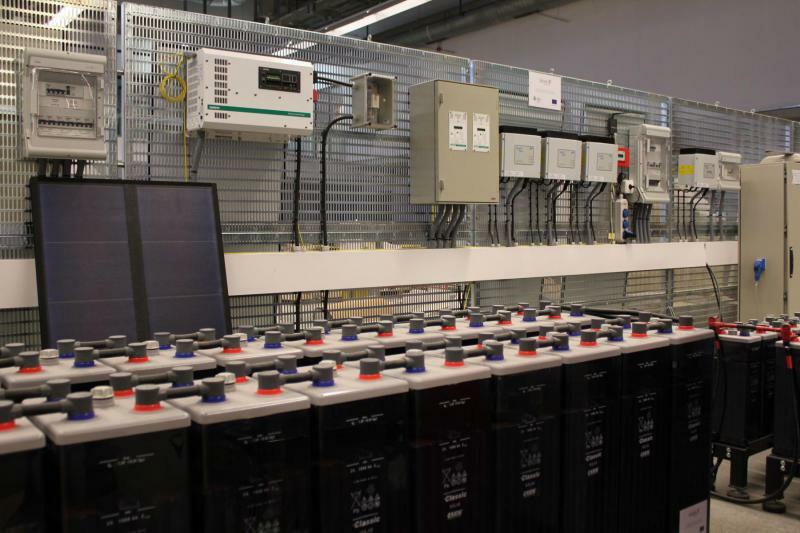 Several experiences have been lead at the Tecnalia Lab, from designing the architecture for secondary control of microgrids to performing inverter interconnection tests to determine European standards for microgrids. It has been of great assistance to switch from abstract models to concrete applications.